Your teeth contain a naturally occurring element known as fluoride. Fluoride provides strength to your enamel, protecting teeth from the harmful effects of acid. Fluoride is lost to the acids from plaque and bacteria, as well as the acids found in certain foods and drinks, but it is also replaced daily. This element can be found in treated tap water and oral hygiene products. It can even be found in trace amounts in certain foods. While many people get the fluoride they need in their daily lives, some people do not. Without sufficient fluoride, your teeth are more susceptible to tooth decay and cavities. 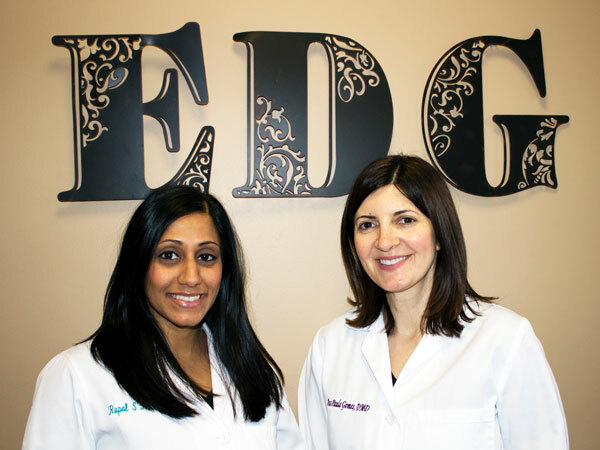 At the The Elmwood Dental Group LLC, we can help to restore lost fluoride with fluoride treatments. Both plaque and oral bacteria occur naturally in the mouth. Plaque and bacteria can rapidly multiply and build up on the surfaces of the teeth throughout the day. Both produce acids that can erode the enamel and lead to cavities or small pits on the surfaces of your teeth. Bacteria hide out in these cavities and continue to multiply and produce acids. If left untreated, cavities continue to grow larger, weakening the structure of the affected tooth. Cavities can even grow into the inner layers of the teeth, which can then lead to an infection. Fluoride works to strengthen the enamel of your teeth by aiding in remineralization and making the teeth more decay resistant. In doing so, it helps to prevent the formation of tooth decay and cavities. Fluoride, in combination with flossing once a day and brushing twice a day, can also help to reverse the early stages of decay. Poor oral hygiene. Brushing and flossing, along with regular dental visits, are essential for removing plaque and bacteria buildup from your teeth, and neutralizing acids. Skipping out on any part of your oral hygiene routine can quickly lead to decay. Anatomical deep grooves in the teeth. Deep grooves are often harder to access with a toothbrush, providing the perfect hiding space for bacteria. Certain lifestyle habits. High sugar or acidic diet, smoking and alcohol consumption can increase your risk for decay. Gum recession. Gum recession exposes more surface area of the teeth. The areas near dental restorations, such as veneers, crowns and bridges, can be more difficult to clean thoroughly. Dry mouth. Dry mouth, often caused by certain medications, or alcohol can create the perfect environment to support bacterial growth. This in combination with a high acidic or high sugar diet can lead to increased risk of cavities in the mouth. Fluoride treatments are simple, fast, and completely painless. Fluoride works by absorbing in through the enamel and remineralizing the teeth. They are typically done at the end of your biannual dental cleanings, but can be done at any time. After your teeth have been thoroughly cleaned, fluoride is applied onto the surfaces of your teeth. There are two ways to do this. One is with a varnish or a gel we apply to the teeth which remains on your teeth and does not need to be washed away. A soft diet and room temperature liquids can be consumed immediately since there is no waiting period after placement. Second is a foam solution that is placed in trays and kept in your mouth for 1 minute. It is recommended that you do not eat or drink anything for at least 30 minutes following this application of your fluoride treatment for maximum effectiveness. 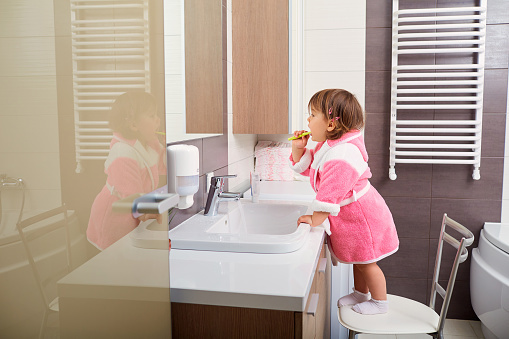 Fluoride treatments are usually associated with children, however, while children tend to be more prone to cavities, anyone can develop a cavity no matter what their age. Fluoride treatments provide the same benefits for adults as they do for children, helping to protect your teeth from the harmful effects of acid erosion. Fluoride is an essential element for helping to protect your teeth against acid attacks and preventing tooth decay and cavities. If you are interested in fluoride treatments for your teeth, call The Elmwood Dental Group LLC, at (860) 331-8748.